This site is under development so please bookmark and watch for new pictures. If you once lived in Barton and would like to see a picture of a street or building contact me and I will try to oblige. Pubs and Clubs |Barton has a long history of public houses and breweries. Some of the pubs featured are no longer licenced premises. Schools Barton has had several different schools in the past and now has a comprehensive and three junior schools. People of the Town This section has photographs of groups of people including old school groups. The size of the pictures is bigger than in other areas of the site so as to give a clearer image. Streets of Barton Old and New. 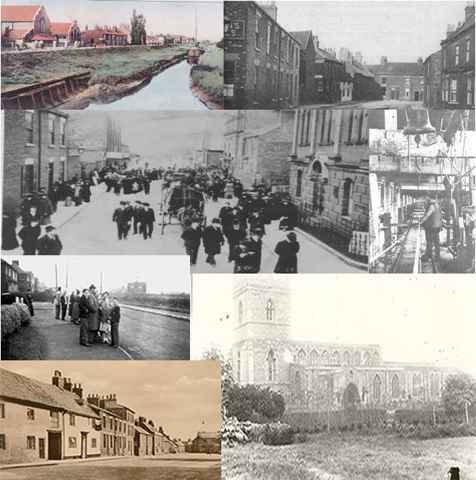 Mainly old photographs of the town some before the turn of the 1900s. Photographs Of People. These photographs have peoples names attached to them. Sometimes there is a request for more information and an email link is attached.